When thinking of the wide swath of qualities that make up a Kiva Fellow, one can be certain of the one trait all fellows possess: an unequivocal thirst for exploring unfamiliar territory. A fellowship assignment presents us with the thrill of being given an opportunity to quench this thirst as it often sends us flying halfway across the world (and sometimes even further), thousands of miles away from our places of birth and comfort zones. So here I find myself, on my second Kiva fellowship assignment with Kiva Fellows class 18 in La Paz, Bolivia: the country and city where I was born. But before you go on feeling sorry for me for having had the bad luck of missing out on halfway-around the-world travel opportunities, you must know that I wanted this. As a matter of fact, I lobbied hard for this placement, and rejoiced plenty when I was granted it. You see, although La Paz may be my place of birth, it is far from my comfort zone. Having lived in in San Jose, California since I was 11 years-old, Bolivia presents itself with a wide swath of challenges very different from those one can find in any other country in the world, even in South America itself. Working, living, and doing business in Bolivia is not and has never been easy. This, my first post from La Paz, will serve to illustrate for those who have never been to, lived in, or read about Bolivia, the sort of complications that the various NGOs and IMFs working here are faced with on a near-daily basis. A few days after my arrival in La Paz I found myself experiencing what can only be described as “Earth Day, Bolivian style”. Ok, it could actually be better described as a complete transportation strike in which no cars, public or private, were allowed to operate in La Paz’ always busy streets. The only place where buses could be found were blocking the major city intersections. The reason: Public transportation drivers were protesting a law that would mean tighter sanctions for traffic violations such as not wearing a seat belt and would establish the groundwork for a formalized public transportation system intended to ease the ever-present chaos found in the crowded thoroughfares of La Paz. The drivers believed that this new transportation system would put many of them out of work. They were also hoping to raise fares for riders. The actions: The “minibus” and “microbus” drivers set out to block every major intersection and byway in the center of La Paz with their vehicles, to include roads that led to the city from the outskirts. The consequences: Classes were cancelled in schools because it was thought that students wouldn’t have a reasonable way of getting to their institutions. Many people unfortunate enough to live outside of the city center were forced to walk long distances to get to work, and to do the same during the evening to get back home. The result: The drivers managed to get the government to change various aspects of the law and to keep the research into implementing a larger transportation system ongoing for now. The drivers’ strike lasted two days and promptly after it was over, public sector health workers and medical students took to the streets. The reason: The government issued a decree that would raise the public-sector doctors’ workday to 8 hours from the current 6. The doctors, not happy with this new arrangement, argued that even if they worked the two extra hours, the lack of adequate equipment in the government-run hospitals would make their presence at the patients’ bedsides pointless. The actions: The medics, medical students, and medical school teachers throughout the nation declared a strike which ended up going on for more than 50 days. The consequences: During this time, the students and their teachers often took to the streets in multiple Bolivian cities, stopping traffic, blocking throghouways and confronting the police force which tried to disperse them with tear gas and high-pressured water hoses. The students, in turn, responded by pelting the police with rocks and throwing water balloons filled with paint at the Ministry of Health located in La Paz. The ink on the doctors’ agreement was not yet dried when the city streets were taken by yet another group of disgruntled members of the population. This time, miners. The reason: Two factions of miners in La Paz’ Colquiri tin mine engaged in violent disputes over who should have more control over the mine: the government, which already “nationalized” the site, or Glencore, the Swiss company which presently administers the mine. The actions: The Colquiri miners marched into the center of La Paz city on June 18th in order to protest the president’s proposal that the government take back control of part of the mine while the rest remains under Glencore’s command. The consequences: Since the president’s solution failed to please either side, the lack of a resolution led to clashes in Colquiri between the two opposing factions of miners during which, according to reports, at least 15 people were hurt. In addition, La Paz’ streets were once again blocked by angry standoffs between police and the miners. The result: The situation is ongoing and as of now, the miners are threatening to escalate the situation by blocking the important intercity road connecting La Paz to the mining area of Oruro. With all the work that the police force has pretty much daily, you would think their work is one of the highest paid in the state. You’d be wrong. The reason: Bolivian cops make on average only about $194 per month, a lot less than a sergeant in the military. Given their long working hours and the dangerous nature of their job, their demands include a pay raise to match that of the armed forces’ and retirement pay of 100% from their active duty salary . Also, they asked for the repeal of the current disciplinary regime law for the Bolivian police force (Lay 101), which many of them think treats minor faults with far too much rigidity. The actions: At first, it was the wives of the policemen that took action by staging a hunger strike until their husbands’ petitions were heard by the government. Faced with a lack of response from the government, on June 21st. 20 members of the police and their wives took over one of the barracks in La Paz, ejecting its commanders and threatening further action if their demands continued to go unheard. Then, on June 22nd, police from all over Bolivia joined the protest, and over 4,000 police took over barracks, staged protests, and set fire to a police office in the center of La Paz city. The consequences: The general command center in La Paz was stoned, its windows broken. In addition, the fire set by the renegade cops destroyed computers, furniture, and hundreds of police files. Demonstrations and marches in 8 of Bolivia’s 9 “departments” disrupted daily life in all big cities throughout the country. The results: The crisis in ongoing and its results are yet to be seen. Many fear an outcome similar to that of the 2003 “Black February” when events very similar to these ended with 19 deaths and led then-president Gonzalo Sanchez de Lozada to flee the country later that year, fearing for his life. With all these distractions and disruptions, it will be interesting to see how local MFIs such as ProMujer, IMPRO, and Emprender conduct daily business, visit clients, and collect repayments. Bad road quality as an obstacle to get to customers is one thing. Completely blocked roads, a total lack of public transport, and violent street clashes are complete game-changers. Also, keep in mind that this list is not comprehensive but shows only a small portion of the ongoing political turmoil that affects daily life in La Paz, and in Bolivia as a whole. I am definitely looking forward to finding out how Kiva’s local partners manage to deal with these issues and to keep the help and the Kiva Love flowing. 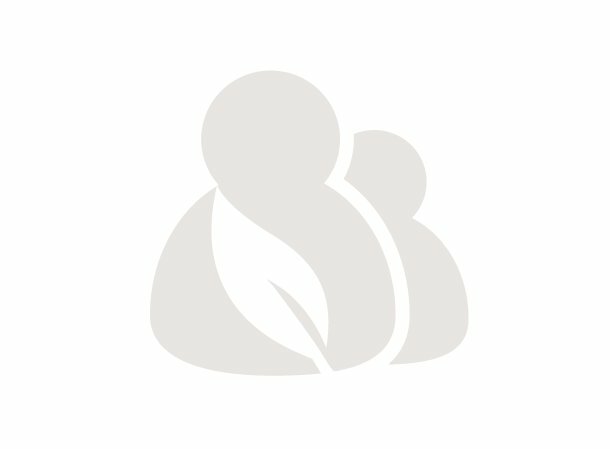 If you’re interested in helping out a Bolivian entrepreneur go to Kiva’s ProMujer, IMPRO, and Emprender‘s field partner pages. You can also check out the Friends of IMPRO, Friends of ProMujer, Emprender, and Team Bolivia‘s lending teams. Stay tuned for more updates from my hometown, aka: the field!